OMG! This is like eating the white chocolate macadamia nut cookie, but without all the calories and sugar. From the first bit to the last. It's a nice healthy "cookie" snack. 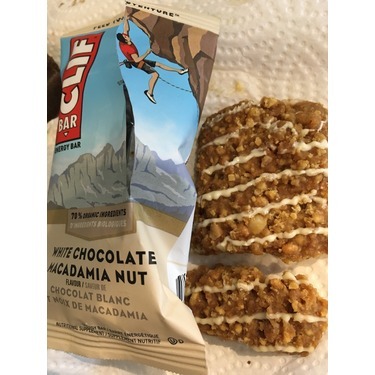 Clif bars are pretty tasty on the go snacks/meal replacements. They are pretty hearty and keep you full for quite a while and are fairly tasty. It is easy to distinguish key notes of flavour amongst the different bars, though they all share a base flavour that resembles oats/rice crisps/sugar. Overall, they're a decent buy, especially considering the cost. My favourite is the seasonal Spiced Pumpkin Pie. Of the regular flavours, I like the White Chocolate Macadamia. When i bought theses bars i thought that they would last me, but they were gone in 4 days which to me makes them definitely not worth it. 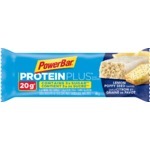 i liked the taste it was amazing but for the price i would not repurchase them. 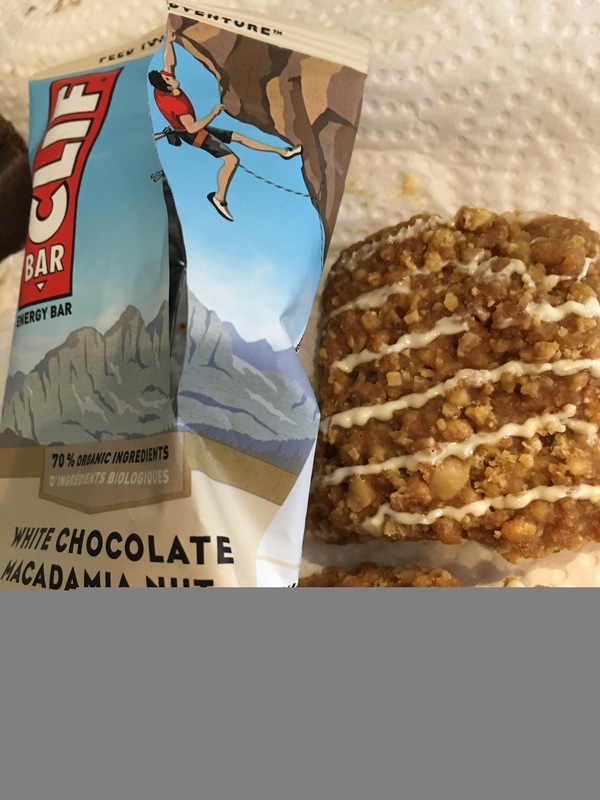 Cliff bars are delicious. Great little snack with a lot of tasty flavours. The peanut butter ones and the white chocolate macadamia nut ones are my favourite. You can get them on sale a lot as well. 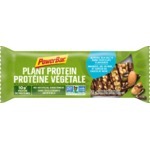 I just got to try this bar today, in this months issue of sage- it tasted soo good! 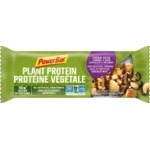 I really felt energized after eating this bar aswell I would be eating this at school or at the gym when I buy this. cute packaging aswell! 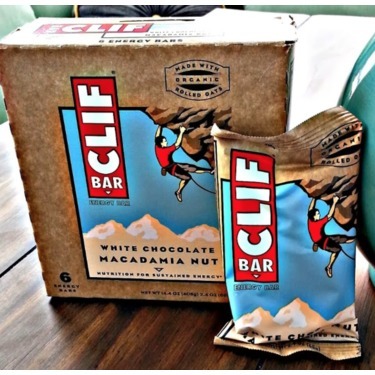 I love eating Clif Bars on the go. Lots of variety in flavours, and very affordable. My favourite is the white chocolate macadamia nut bar. Would recommend for anyone following a plant-based lifestyle. I love these bars as a quick go to breakfast before a work out. Mint Chocolate and White Chocolate macadamia are my favorite and popular on store shelves. Try to catch it on sale for $1 a bar and I buy it in boxes but my favorite flavours tend to go fast. This is my favourite flavour of Clif BAR! Love! like a little meal on the go. it keeps away the hunger pains when you can't have a proper meal. 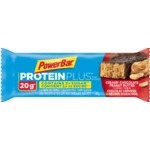 I got 10 of these bars at Walmart for a great price on Rollback. They are also available in Peanut butter. I understand these are fairly new to the market. 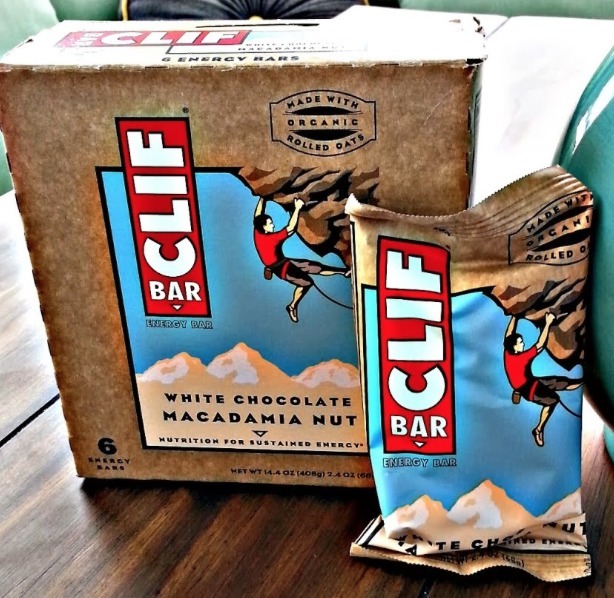 Those who love the original Clif bar will be surprised by this treat. The texture is that of a crunchy Nature Valley bar with small pieces of nuts and white chocolate. I felt very satisfied after eating this product. I feel that it does not have outstanding nutritional value but compared to other granola bars it is a better choice.